“The Great Meat Feast” at The Carvery (Park Hotel Alexandra)! The Evilbean goes to a buffet again... someone please taobao for me a new weighing scale that shows 200kg and above? 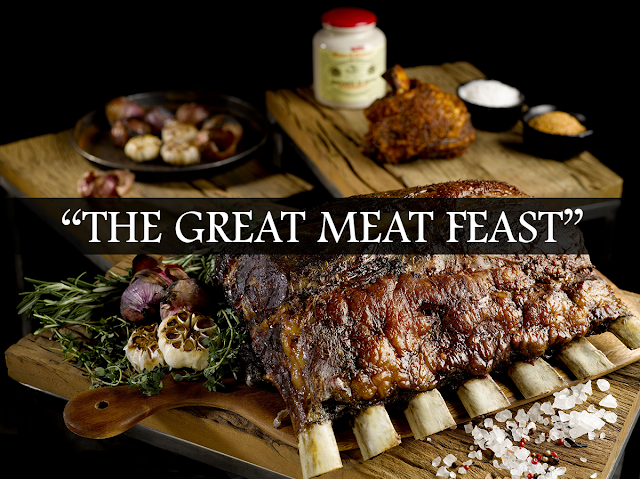 Here's the video of "The Great Meat Feast" on my Facebook Page. GO LIKE IT. Thank you Sixth Sense PR and The Carvery for the invite! Looks cool. I'll go there as soon as I'll get the possibility.